Bake Time: 15- 20 min. 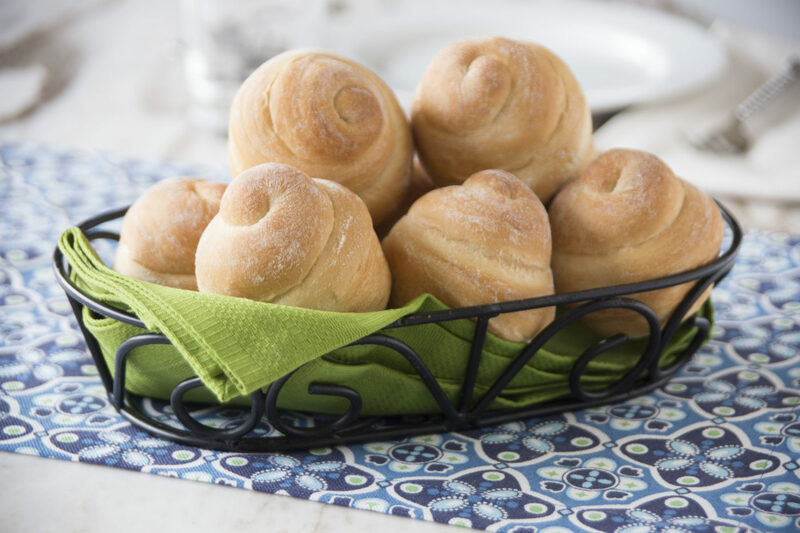 Feature a beautiful basket piled high with delicately swirled dinner rolls on your Thanksgiving table this year! Roll and stretch one Texas roll or two dinner rolls combined into a 12-inch rope. Hold one end of the rope and wrap dough in a circle into a sprayed muffin tin. Cover with sprayed plastic wrap and allow to rise until double in size.